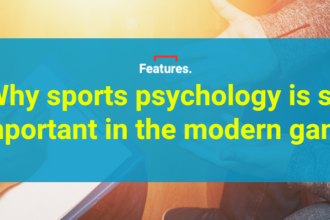 We’ve only just had four fantastic days of football action over Easter, and the footballing Gods are treating us once again this week with the return of the Champions League and Europa League. 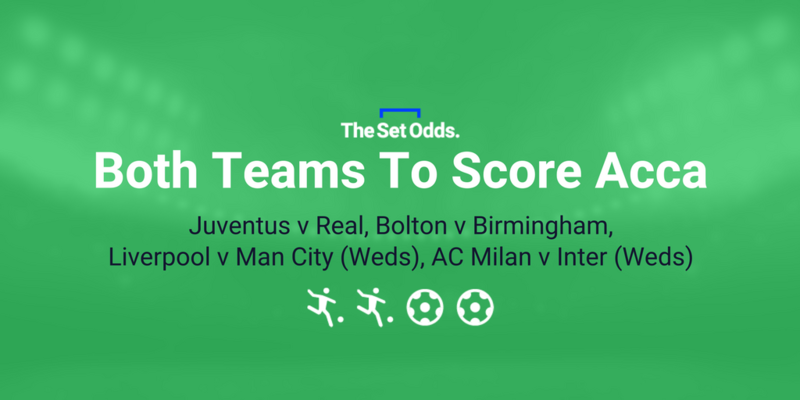 Sadly, we couldn’t manage any acca wins on Easter Monday, but it was certainly close. We just needed a Bristol City draw at home to Brentford to land 14pts and if they’d have won it would’ve been 22pts, but they conceded late on and lost 1-0. Gutting. The lack of a goal each for City’s rivals Bristol Rovers, and Carlisle, cost us the 17/2 BTTS 4fold, and I had two out of four correct in the Lucas Joao with the other two teams required winning but not doing so with both teams scoring. After missing out on an 8/1 acca on Saturday when Derby somehow failed to win at home to Sunderland, who resumed their poor results on Monday when we hadn’t backed against them, it has felt like a long, frustrating weekend of what could’ve been efforts. Anyhow, we can get straight back on the horse this week with the return of the Champions League. Despite Man United‘s failure to knock Sevilla out over two legs, I don’t think the Spanish side are as good as they once were so fancy German heavyweights Bayern to triumph in Seville on Tuesday. 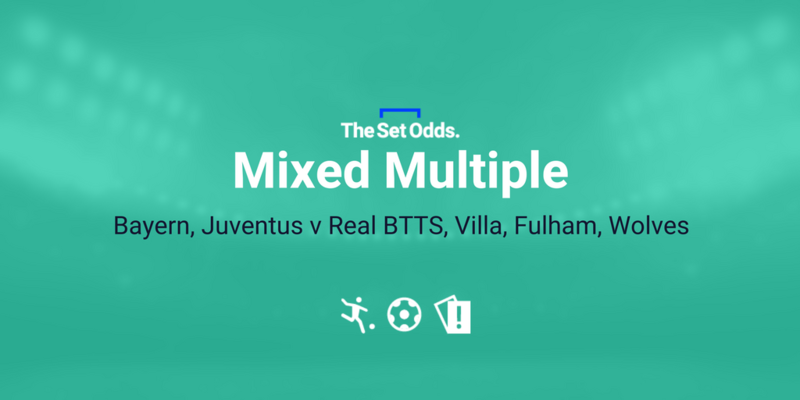 That is the first selection in my midweek Mixed Multiple. I also fancy Juventus and Real Madrid both to net when they meet in Turin in Tuesday’s other Champions League game. Elsewhere, in the Championship, Villa, Fulham and Wolves should really beat Reading, Leeds and Hull respectively at home. 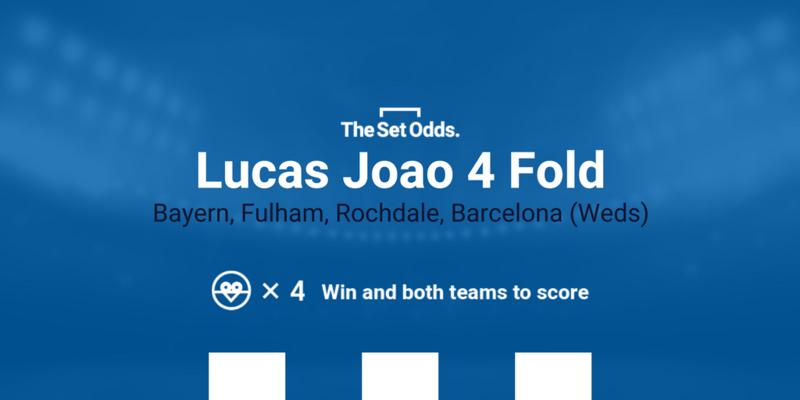 I’ve picked two Tuesday selections and two from Wednesday for the BTTS 4fold, and have chosen a shorter priced Lucas Joao at just 142/1. I also fancy 1pt on our old mate Aleksandar Mitrovic to score first as Fulham take on Leeds on Tuesday night at 4/1 with Betfair (bet HERE).